In the blog’s five-year history, Scott Steward has published 260 posts, for about 21% of the total. Alicia Crane Williams comes next, with 175 posts (14%), then Christopher C. Child (82; about 7%). Other prolific bloggers include Zachary Garceau (49), Jeff Record (45), Jan Doerr (44), Penny Stratton (36), and Pamela Athearn Filbert (35). The posts with the greatest reach include two by Penny – Adams, Adamses, Adams’s and The 1920s, the ‘20s, the twenties: writing dates – with some impressive readership numbers: the Adams post has been read by 14,492 readers (and is in first place), while the 1920s post has been read by 9,806. Jean Maguire’s announcement of the Boston Transcript database has had 13,187 readers, for second place. Chris’s two posts come third and fourth, and nearly equal Penny’s total: he has written on Meghan Markle’s maternal family (12,727 readers) and Robin Williams’s ancestry (11,506). In response to these 1,244 published posts, 11,741 comments have been posted. (I won’t even attempt to analyze comments on the Society’s Facebook page!) These have ranged from factual corrections to enthusiastic engagement with the authors’ points – which is the point of the blog, after all. For Vita Brevis is more than the numbers, the percentages, the ongoing series. It is meant to educate; it is meant to entertain. Like P. L. Travers’ Mary Poppins, it aims to guide its readership – gently, with carrots, not sticks – to the right path, toward genealogical breakthroughs. How? By breaking down the thought processes that successful genealogists use to undertake fresh research, building upon previous work when assessing a new genealogical problem. [The blog breaks] down the thought processes that successful genealogists use to undertake fresh research, building upon previous work when assessing a new genealogical problem. Not all the bloggers are professionals, and not all of their stories are successes – as yet! It is as important to demonstrate what not to do as to proffer guarantees of success. So Vita Brevis bloggers sometimes emphasize their research failures as a necessary stage in the process. (As I have occasionally reminded commenters, though, do not mistake a blogger’s modesty for ineptitude!) Indeed, if the blog was an unblemished record of success, with genealogists unerringly pulling up the record and finishing off the journal article, it would be far less interesting to read, for the aspirant as well as for the professional. Pamela Athearn Filbert: I’d never really thought about writing for a blog – my own or any other – until I stumbled upon Vita Brevis around the time I joined NEHGS as a member. That was in February 2015, a little over a year after the blog launched. As a reader, I’ve been entertained as well as educated. For instance, I learned from a post by Jeff Record that the reason I’ve never been able to find a marriage record for my California grandparents, as well as for my great-grandfather’s second marriage, is probably because of something called a Confidential Marriage License (unique to California). On the other hand, I learned from a post by Chris Child that if I ever want to join a lineage society, I can prove those marriages through newspaper coverage. As a reader, I’ve been entertained as well as educated. It’s been great to share some stories that have come to light in my own family research, and I’ve even discovered (or reconnected with) relatives and neighbors … which is a pretty neat feature of a blog dedicated to family history! Chris Child: I’ve thoroughly enjoyed writing for Vita Brevis over the last five years. While my posts largely come from my Newbury Street Press projects, I also enjoy sharing about past and recent discoveries in my own ancestry. Sometimes reading posts or comments from others bring about ideas for new pieces, or give me new ideas for long term projects. One of my most rewarding posts resulted in connecting with a distant fifth cousin who shared family photos of our ancestors that I had never before seen. Ryan Woods: Since 1847, with the launch of the Register, we have endeavored to create publications of enduring value that engage and enlighten family historians. Vita Brevis is the twenty-first century descendant in that proud lineage. 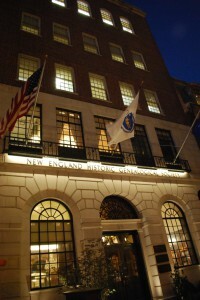 Conceived as an outlet for short, snappy writing about the genealogical endeavors that capture our imagination as individual researchers and as a field, Vita Brevis succeeds as a publication of value and engagement because it helpfully reveals processes for researching genealogical mysteries and authentically displays the passion for family history that lives within the members of the NEHGS community. My hearty congratulations and thanks to Scott Steward, the blog’s editor, and to all of our authors for educating, inspiring, and connecting so many people through Vita Brevis these past five years. As ever, I look forward to tomorrow’s post. Here’s to the next five years – or five hundred, as Jeff Record will recount in a future post…! There must be some small overlap between the two categories. For a couple of treasured Facebook comments, read the ones for the 28 December 2018 post on the year in review. 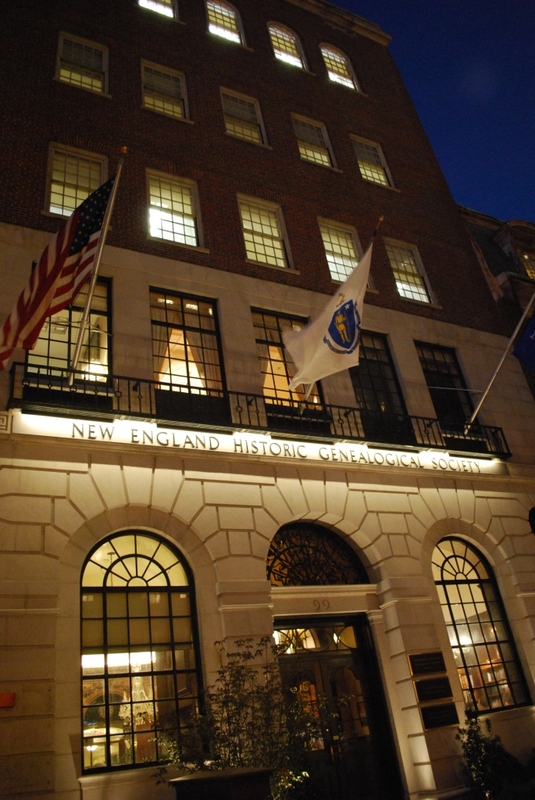 Bravo, NEHGS, and a thank you to all.